St. Paul is available for weddings. The chapel seats 100 to 150 persons. A piano and organ is available. A sound system accepts CDs and IPod input for recorded music. 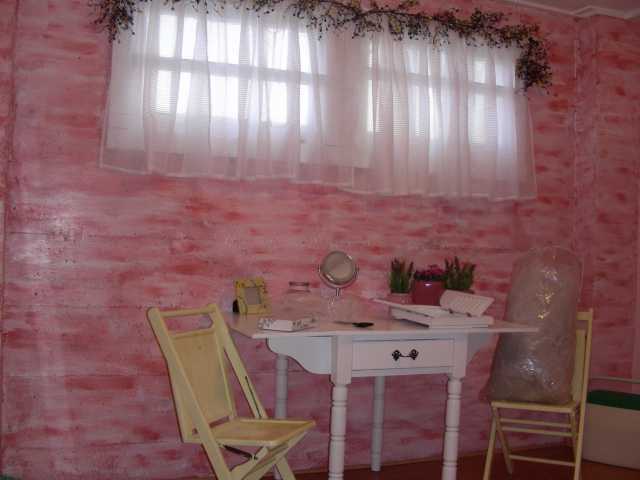 Fees start at $300 per day for the chapel, and $300/day for the reception area. We ask for a refundable cleaning/damage deposit as well. The reception area is available separately – no need to pay for both areas. It will accommodate about 100 to 150 guests. The reception area has tables and folding chairs, restroom facilities, and a kitchen. Some wedding and reception decorations are available for use. 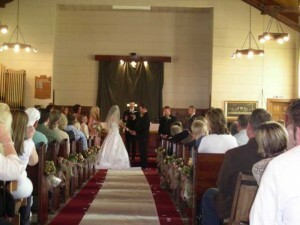 The pastor can perform a Christian wedding ceremony, as time and scheduling allow. Before the ceremony, the pastor wishes to meet with couples to get acquainted, discuss details of the ceremony, music, and other arrangements, and counsel the couple. Please allow at least one month lead time before the wedding to meet with the pastor. The fee for the pastor is separate from the fee for the facilities. Smoking, gambling, and alcoholic beverages are not permitted on church property. Our building is not wheelchair accessible. Guests must use the stairs to reach the chapel. The reception area and restrooms have some wheelchair access. The church is generally available between the hours of 8:00 a.m. and 10:00 p.m., Monday through Saturday unless previously scheduled. For More Information: Please call Pastor Carol at 801-860-3974 to reserve our church, ask questions, or discuss arrangements. I will like to have my wedding in your great and reputable chapel. Can you confirm the availability of 3rd of September, 2016 for my wedding? You can also talk to my personal assistant on 916-756-4777 he will surely get your message across to me. Thank you for your interest in having your wedding at St. Paul. I have forwarded your contact information on and you should be hearing from someone soon.